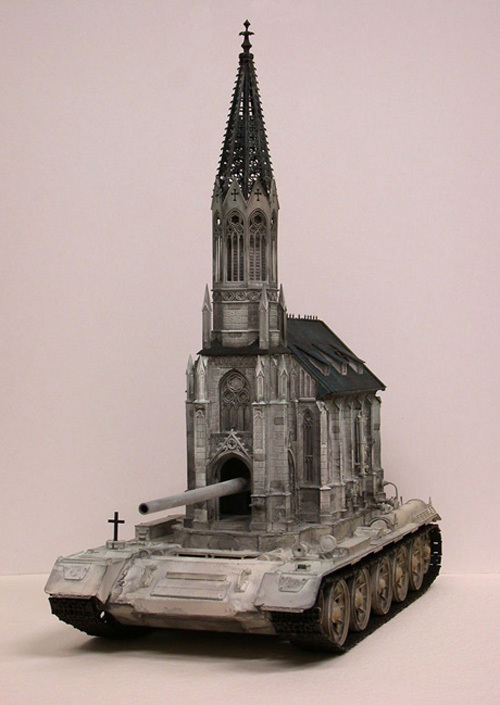 The holy cannon of St. Boomer. Re: The holy cannon of St. Boomer. The Bishop was considered armed and dangerous. When some punk pleads Sanctuary, WE GIVE 'EM SANCTUARY! The power of Christ compels you.. TO BE BLOWN TO BITS!!! The holy cannon of St. Boomer, brought to you by the makers of the Holy Hand Grenade of Antioch! And the RPG-7 of Bishop Shrapnel. Tell his Holiness the "Pimp My Ride" guys have his new Popemobile ready. The Archbishop of Canterbury's ride is still more awesome. "Introducing, the Holy War wagon..."
Benedict: I have decided how I shall spend my retirement. I shall be taking this on a driving tour of all of Europe.